♥ NAPHYRA ♥: 1st Wedding Anniversary Adventurous Road Trip: Terengganu! 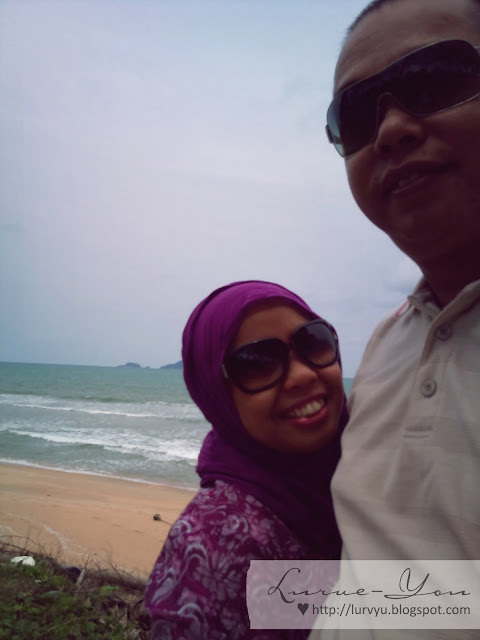 1st Wedding Anniversary Adventurous Road Trip: Terengganu! Happy Monday! This is a continuous story from this entry. A LOVEY DOVEY FEBRUARY story. We drove over to Kuala Terengganu right after attending the wedding of our best friend at Kg. Pasir Gajah, Kemaman. It was a fun journey looking at the scenery along the way to Kuala Terengganu. Actually, I was damn tired and sleepy but I refused to sleep thinking of I might missed enjoying those sweet moments. HAHA! Hotel Seri Malaysia, Kuala Terengganu. Unfortunately, we forgot to snap a picture of the view from our hotel room! Urghhh.. There's a restaurant in front of the hotel. The restaurant is always full during peak hours and the food was delicious~!! Another plus point. HEHE! China Town is one of the nearest interesting places nearby our hotel. It took us about 5 mins walking distance from the hotel. Why China Town? Obviously because of the Chinese people! I believe they are all Chinese people who live there before. But now this place has become a row of shops mostly owned by the Chinese. Surprisingly, they are very friendly and they speaks Malay fluently. INTERESTING! China Town is actually a row of prewar old building at Jalan Kg Cina. These buildings are believed to be the residence for the Chinese from China mainland who arrived in Peninsular Malaysia in the 19th century. Most of the houses are 2 stories, with brick or concrete structure and wooden flooring in the second storey. Some still keep its wood carving on the windows and huge heavy wooden front door whereas some were turned into the renewed modern concrete building. The colourful long roof has created a unique and beautiful photographing spot for photo taking especially in evening before the sun disappears from the sky. These century old building are now sundry shops, local coffee shops, offices for several tour operators, batik and souvenir shops, restaurants etc. Recently there are people who buy over the house from the original owners and turn it a ‘swiftlet house’ for their bird nest business. There is also a Chinese Temple painted in red colour standing at the corner. The local believe that ‘Goddess’ of the temple has given them very accurate guidance and ‘protection’ during the hard time, therefore there is always worshipers redeem their vow to the God. Pasar Payang or the Central Market is no less than an interesting place to visit. This double storey market houses all kind of goods that you can find, ranging from poultry to sea products, utensils to bed sheet….almost like ‘you name it, you get it’. The lower level of this double storey building is a wet market. You can find fresh seafood or preserved sea products such as ikan bilis in all sizes, salted fish and dried cuttlefish etc. Consult the stall owner if you do not know how to choose between a salted fish for stir frying and a salted fish for steaming purposes. Vegetables are sold in the middle. Don’t be surprise if you see chilies in milky green colour, fern leaves like vege, banana trunk, etc… these are the ulam, some wild vegetation eaten by the local here..
Keropok or crackers made from fish or prawn, asam, local made candies and snacks are sold in stalls beside the entrance too. Look for one special cracker, Keropok Belinjau that is made from a kind of gnetum called Belinjau (gnetum gnenom). Taman Tamadun Islam (TTI) is a theme park that features artistic excellence and artistic heritage of Islamic architecture from around the world (21 countries). It is located in Pulau Wan Man, Kuala Terengganu, previously considered uninhabited palm-lined forest. This theme park is one of the economic development of the East Coast Economic Region. The theme park that started in March 2005, is not only surrounded by the replicas of the mosque from all over the world there's a mosque that is also a new landmark of Kuala Terengganu which is Masjid Kristal. The picture of Masjid Kristal here and US! In front of Masjid Kristal, Kuala Terengganu. After visited Taman Tamadun Islam, we drove towards Tengku Tengah Zahara Mosque. This unique mosque is a floating mosque. Or more commonly called Floating Mosque. This is due to its unique design which is built on a floating platform, giving a floating feel from far away. 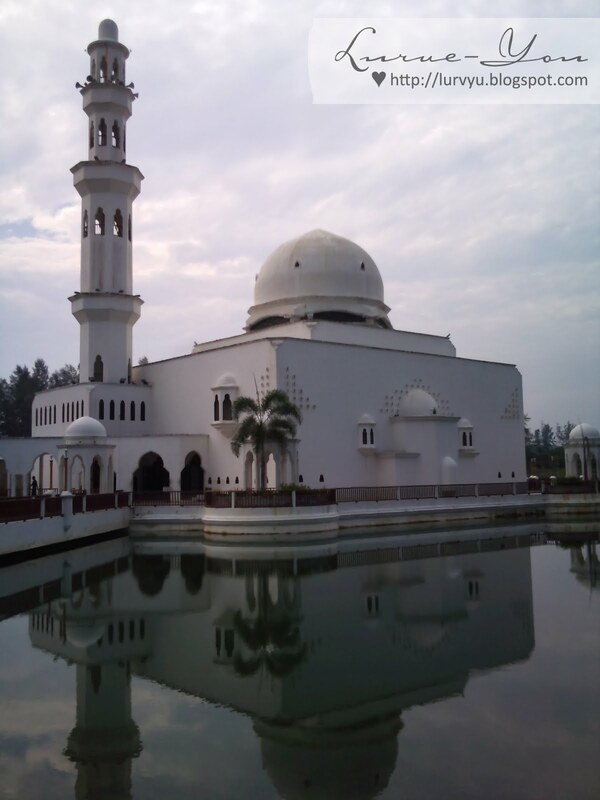 The mosque is built on the estuary of Terengganu River by one of the prince in Terengganu state. Combining both modern and Moorish architecture design, the mosque symbolizes the innovation and modernisation in the state. Adjacent to the mosque is a park with beautiful pine trees. The ideal time to visit this mosque is in the evening, when the evening sun shines on the mosque, turning the building into golden colour while the cooling breeze blow from the South China sea. I love beach! We went to two beaches in Kuala Terengganu, Pantai Batu Buruk and Pantai Kelulut. I really love the smells of their fresh air. So refreshing~!! On the eastern side of Kuala Terengganu is Pantai Batu Buruk. There are pine trees lining up behind the shore, like a loyal friend to the waves. During windy days, playing kite on the beach is a good idea. Apart from being the venue for the annual Beach Festival and food stall, though sand is not as fine as on the islands, Pantai Buruk is also a popular place for strolling and swimming and good place to visit especially in the evening. This beautiful beach is just 1 km from the city center and can be reached by walking. Perhaps this is the cleanest and widest beach inside Kuala Terengganu city. Both of us enjoying fresh air at the beach..
As a conclusion, WE LOVE TERENGGANU! Hehe.. erkkk..?? sue! penat tau i cite.. suke bab keropok lekor je..?? hehehe! Tapi serius, i pon suke bab keropok lekor tuu.. SEDAPNYE! Kalo bukan sbb perjalanan masih jauh lagi, sure dah beli keropok lekor tu byk2.. Huhu..
first & last pergi waktu belajar... maybe next time leh plan nak tengok tamadun islam kat sana..
ohh.. blaja kat sane ekk..?? tp taman tamadun islam tu agak baru jugak kann..?? zmn u study dulu lagi mesti blom ade lg.. I love terengganu juga!!! 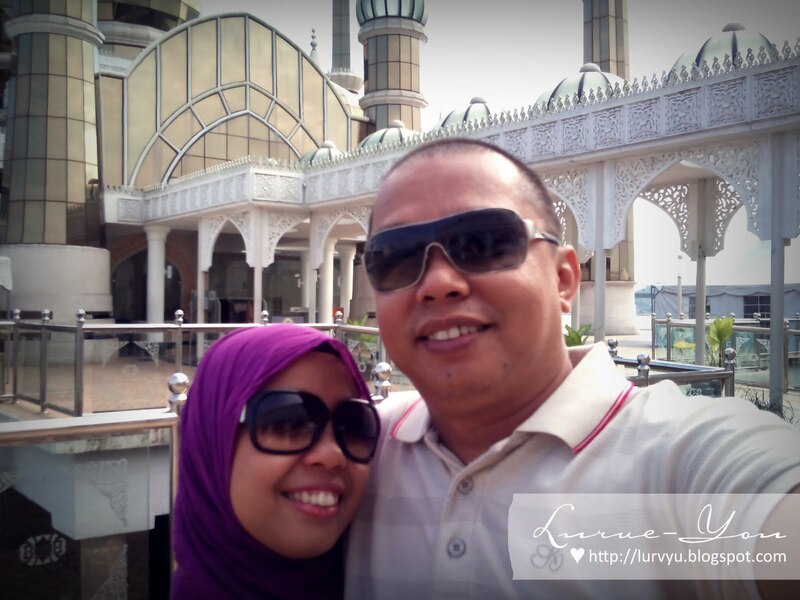 We stayed at riyaz pulau duyong for 4-5 days for pre-hmoon n the hotel was awesome too! Nxt time we wanna try seri msia lah! And and keropok kelulut tu.. My goshhh sedap sgt kan? *trus buat chicken dance* hiksss!!! 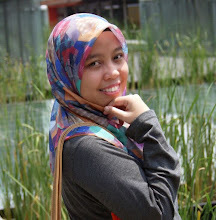 Pija, tuh laa.. tgk pics u, riyaz tu mmg cantek gilos! tapi disebabkan kitorang nak dok dkt bandar, (supaya senang nak shopping anytime, HAHA!) tu yg dok kat hotel sri malaysia. bile rase nak shopping, jalan kaki je pegi kedai2 tu.. smpai ke mlm pun shopping lagi. huhu..
ok, keropok kelulut tu mmg awesome. sedap sgt babe! naseb baik lambat lagi nak balik n perjalanan kitorang masih jauh. kalo x, dh borong byk2 dah.. hehehe..
kopok lekor ganu gak mabeles kann..?? hehe..